The idea at the core of this department dates back to 2010, after the first compression moulding of a tub chassis for super sports cars made of carbon fibres; the aim was to produce carbon components similar to the pieces obtained in the autoclave, but with industrialized technologies for mass production. 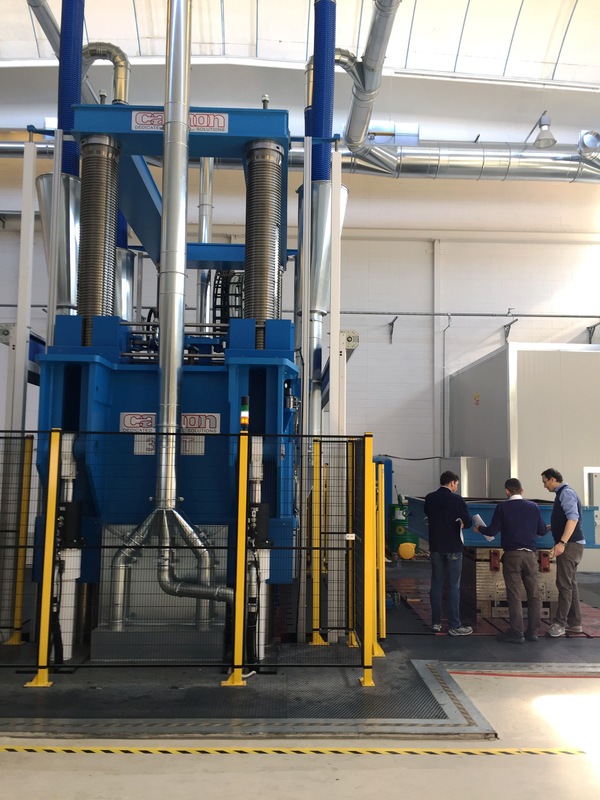 Therefore, we expanded the product range for the customer in terms of possible technologies and volumes, with the production of lightweight and high-performance components, particularly for the automotive, aviation and marine markets. 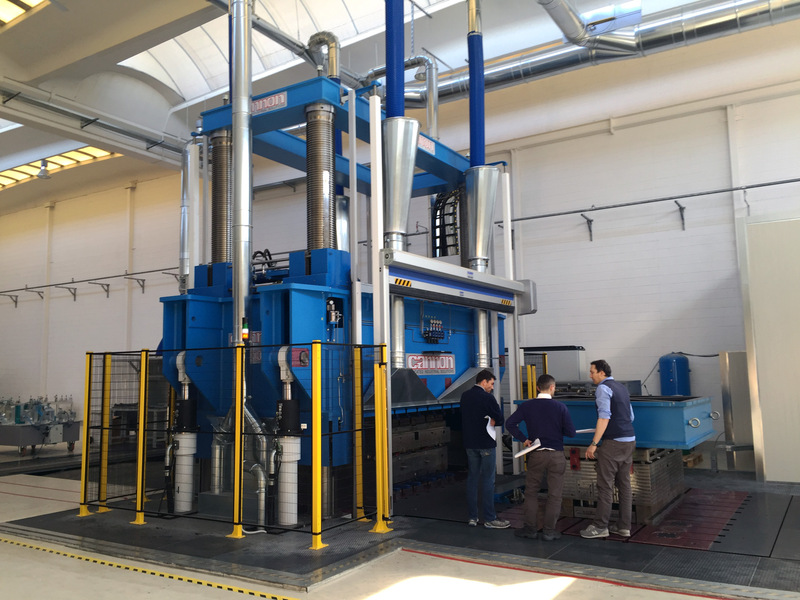 At present, the Pressed Carbon department has a production capacity of more than 500.000 pieces per year and is particularly appreciated by the automotive and racing industries for the production of chassis structure and bodywork panelling components. Carbon, both prepreg and in the form of moulding masses called “SMC” (sheet moulding compound), more specifically CF-SMC (carbon fibre), is machined using the press compression moulding technology to switch from machining entailing a massive use of manpower to an industrial process aimed at lean manufacturing. A refrigeration cell of 200 cubic metres for the storage of raw materials that maintains the temperature at -20°C. 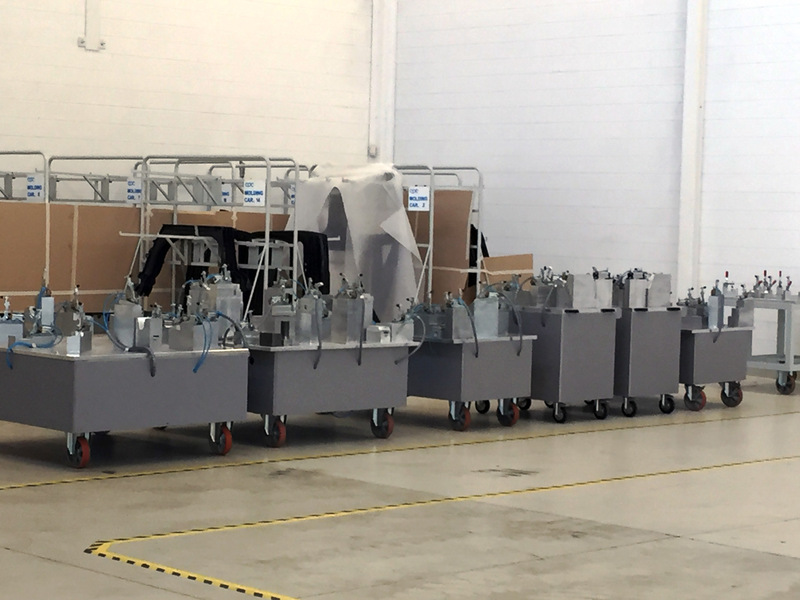 A special automatic preforming line for details with sizes up to 3,000x2,200, at cadences of less than two minutes, allowing repeatability and an error-free production. 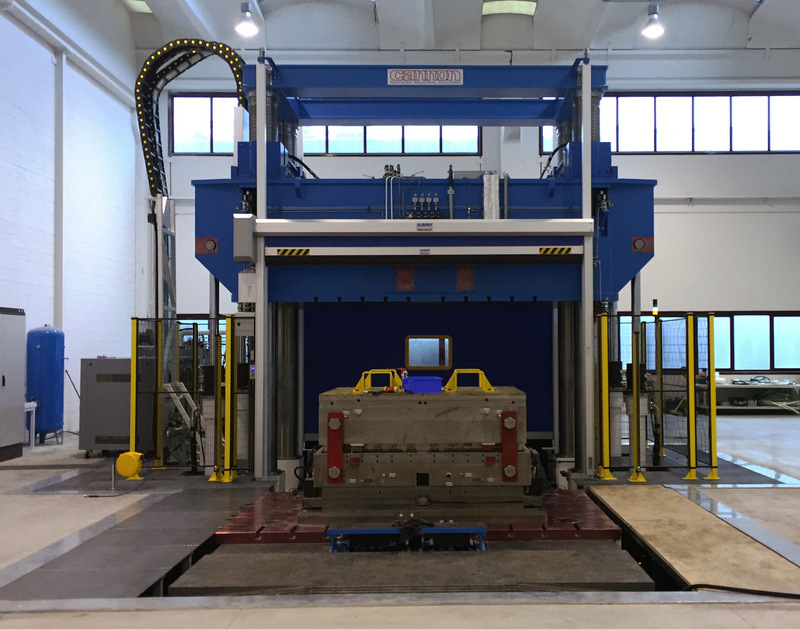 A robotic 3D trimming station for the finishing of preformed material. 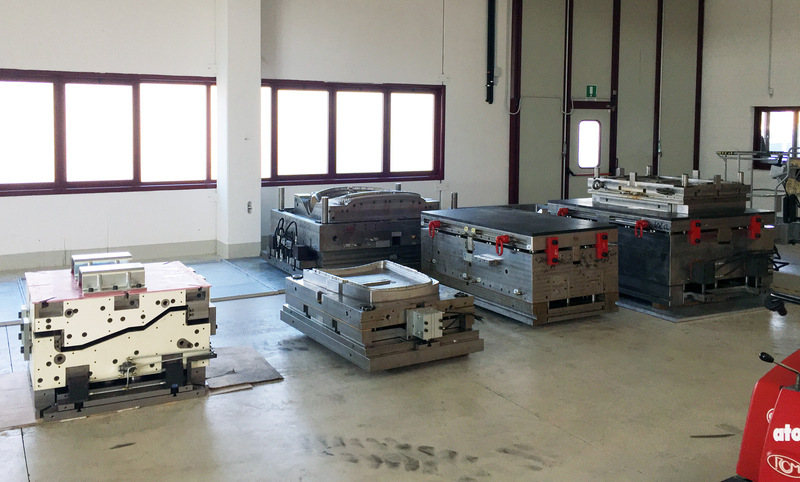 Three Belotti 5-axis machine tools entirely dedicated to the machining and finishing of details in composite materials that are used for the entire mechanical machining process. 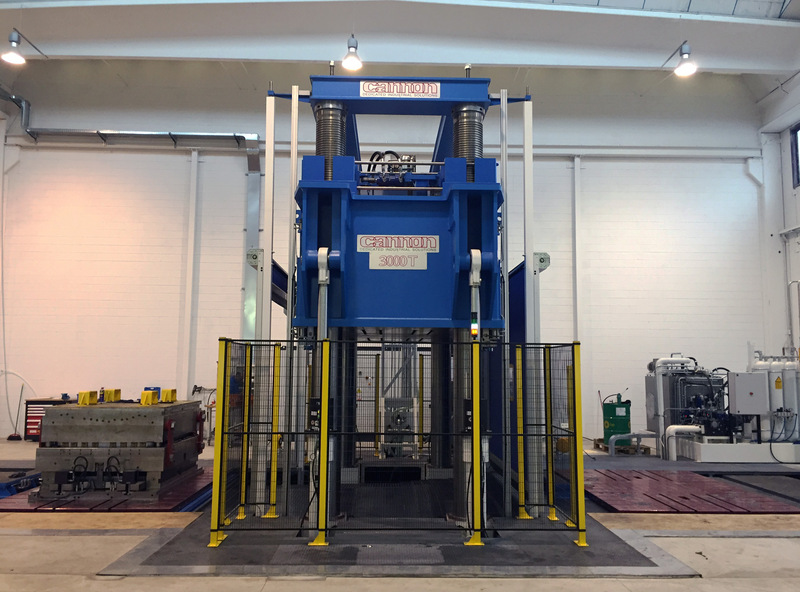 An automated blasting chamber for the pickling of details. A robot cell for optical scanning and 3D GOM photogrammetry that allows a dimensional control of up to 100% of the production. The technical office not only deals with the assessment and design and co-design support, but also with the design and internal construction of the moulds, and is supported by the logistical structure in defining and building the different cooling, machining and control jigs and the specific packaging for each detail. The advanced technology, excellent quality, on-time delivery and reduced production costs are the strengths of this department. Our expertise and flexibility allowed us to work as a trusted partner of the best manufacturers, overcoming demanding challenges together.